But before I dive into those tips, I want to give you a quick reminder… Your content doesn’t need to be viewed by millions of people to be successful. Your content doesn’t need to be shared around the world. It only needs to encourage your audience to take action. You don’t need a perfect plan. You don’t need the best equipment. You don’t a huge team. Just get started. If you want to reach a new audience, start creating content; & then you will be able to gauge what resonates with them & what misses the mark. There is no reason to theorize & agonize over “best practices” because by the time you establish that plan, it will be irrelevant. The more you put yourself out there, the better chance you have of being seen. We all want to be noticed & build a following as quickly as possible, but be careful what you wish for… A lot of times, are work at the beginning is not all that great. It can be a good thing to practice your craft before people start taking notice. You will start to uncover your voice & play to your strengths so that people can start viewing you as an expert in your field. Having patience, continue learning, & keep practicing so that you can be polished when people start to take notice. Once you have gotten into the swing of things & are ready to showcase your work to a larger audience, collaboration can be a wonderful tool. 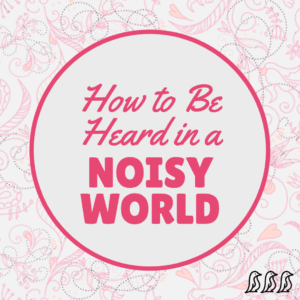 See if you can guest blog, be a podcast guest, or contribute to someone else’s work. Many content creators are very open to this, & if you bring value to their audience, they are happy to make the introduction. Find other content creators that compliment your niche, & collaborate with them to build your audience. Nothing happens overnight, & it is always a challenge to remain patient & grow steadily. However, this is a very good way to grow. You can establish a loyal audience, you can improve as you grow, & you can maintain the workload without any sudden booms. Sometimes it only takes one post to get noticed, but even that isn’t a guarantee that people will remember you tomorrow. Continue to put out valuable content & maintain realistic expectations. The bottom line is this… If what you are creating is getting you closer to your goals, then it is worth your time. You need to invest your time before you can expect anything to come from it.